Starting 01 June 2017, thousands of MTN employees in South Africa and across the operator’s 22 markets in Africa and the Middle East will be rolling up their sleeves and commencing the month-long and country-wide community upliftment initiatives to alleviate the plight of communities that are less fortunate. This employee volunteerism initiative, known as 21 Days of Y’ello Care, is celebrating its 10 year anniversary of high impact, community outreach programme. In South Africa, the 21 Days of Y’ello Care is run under the aspicies of the MTN SA Foundation and encompasses employee and executive participation in a range of philanthropic activities across the country. Integral to this initiative is the hosting of the fourth edition of the MTN 21km race on June 10, which raises funds for an educational cause. Since its inception in 2007, over 32 000 man hours have been expended during 21 Days of Y’ello Care each year, with no less than 4 000 employees embarking on community outreach programmes that have benefitted over 20 schools and charitable organisations. “We have been humbled and touched by the enthusiasm that our employees have shown in volunteering their time, resources and skills to making a positive and lasting impact in the communities we operate in,” says Graham De Vries, Corporate Services Executive of MTN SA. “What has been the guiding principle in our community outreach endeavours has been the importance of sustainable corporate social investment that stays on even after the initiative has drawn to a close in any given year. The funds our employees have raised have been used to build classroom blocks, set up vegetable gardens and renovate sports facilities, funded the installation of computer laboratories, secured school shoes and bicycles and erected water tanks in water scarce communities,” adds De Vries. The handover of a fully-equipped, 20-seater computer laboratory with printer, interactive white board and subsidized data connectivity to Funda uJabule Primary School in Pimville, Soweto. These philanthropic gestures are not inclusive of the initiatives done to date by the MTN SA Foundation in the area of health and education. 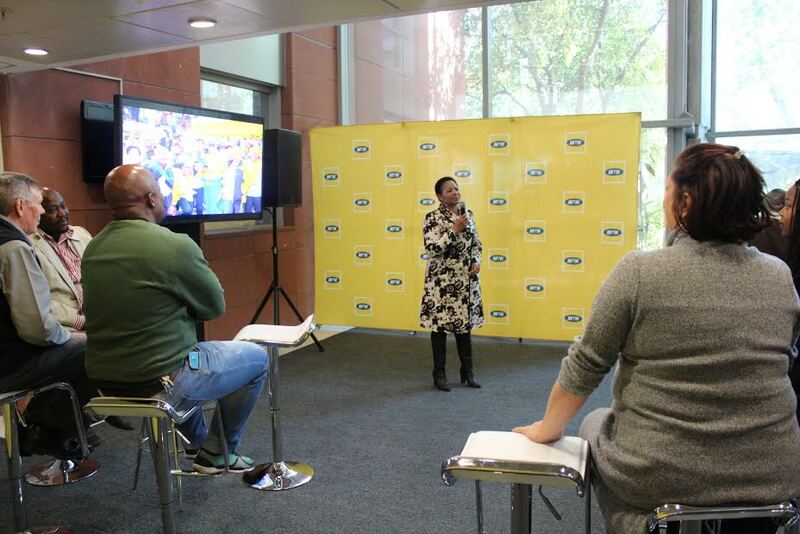 To date, the MTN SA Foundation has handed over 300 multimedia centres to schools nationally, and has provided similar facilities to nursing colleges in all the nine provinces as well. In addition, MTN has made further contribution in facilitating access to education by providing school shoes to learners on an annual basis as part its back to school campaign. “The handover of these multimedia centres and the school shoes is in line with the MTN SA Foundation’s strategy of partnering with government and local suppliers to provide connectivity to schools, particularly those with the greatest need,” De Vries concludes.